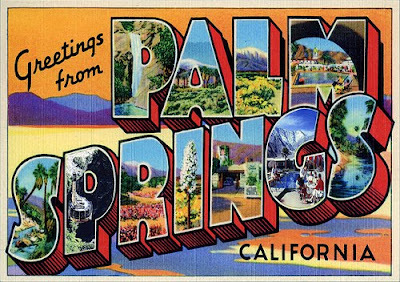 This weekend I'm headed out for a mini vacation to Palm Springs. My real-life gal pal, Stephanie of Thoughts From Cali, was sweet enough to invite me to head out to the desert oasis with her. We are so looking forward to lounging by the pool, pedicures, sangria (finally going to make the recipe I snagged from life is BANANAS) and a a laid back BBQ. When I think of Palm Spring, besides the heat, I am reminded of the 50s, classic cars, and The Rat Pack. THE go-to retreat for Hollywood's it list over six decades ago, the city has a throwback charm that can't be denied. I'm sure Marilyn Monroe had quite a few relaxing days beneath the city's palm trees. She looked so great in a bathing suit! Don't you just love that fact that Marilyn was a curvy woman? If you can read her measurements below, they were: hips - 34", waist - 23", bust - 37". I'll certainly be trying to channel my inner Marilyn! While soaking up the sun I'll be finishing off "Murder on the Boulevard" which was written by Kori of Blonde Episodes. Be sure to pick up a copy of her book! I bought mine on cratespace for $9.99 and it came two days earlier than I expected. What a nice surprise. 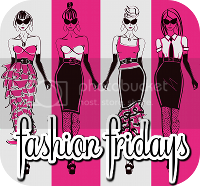 Kori is also the blogger behind Fashion Friday. Link up with her today and share your fashion posts. Have fun!!! I've always wanted to go to Palm Springs, but I'll have to wait until the winter when it's not so hot! yay have TONS of fun!!!! enjoy your weekend in palm springs girl!!! Have a wonderful time! I cannot wait to hear about the sangria - YUM! What fun photos -- have an amazing time on your getaway, doll! I love these pictures! I've always, always wanted to go to Palm Springs (especially after seeing the episode of The OC when they go). I LOVE all these pictures - Marilyn could not be more beautiful. And yay for Kori! She is such a sweetheart and I am so excited to read her book! Miss you - am Skyping my friend in LA this week to figure out California plans, and a meetup/night or day out with you is absolutely essential. 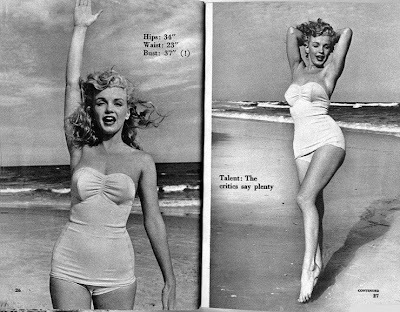 I also love how Marilyn was a real, curvy woman. Enjoy you weekend and have a blast! Palm Springs?! You lucky girl! Oh I love Monroe. She was such a beauty and really smart too! Lucky you! Enjoy your weekend at Palm Springs! Love the pictures you chose. oh palms springs, yes! how i've missed that place! love the black and white photos! Oh I hope that you have an awesome time!! Hope you're having the best weekend! Sounds gorgeous over there. i wish more women were like marilyn monroe (minus the screwing the married prez part)...she embraced her body and curves like all women should. let me know how your sangria turned out. I hope you have so much fun in Palm Springs! And yes to the rat pack. All of those swimming suits are amazing, I wish I had one like it now.